COASTAL Biogas Newsletter nr 1-2018. Problems to view it? View it in the web browser. 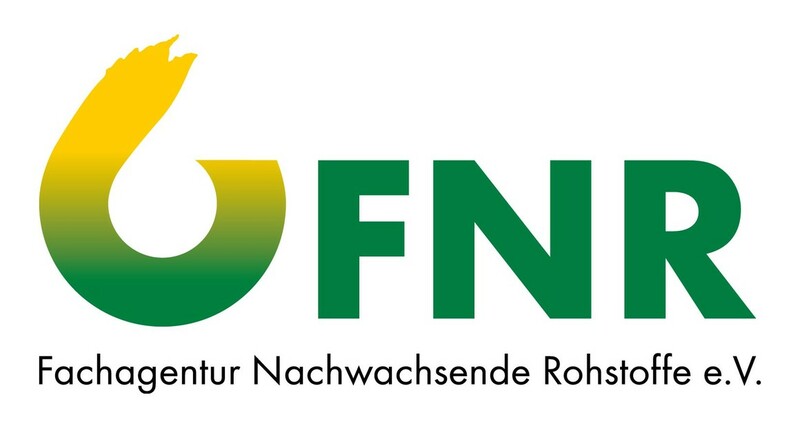 COASTAL Biogas is an Interreg South Baltic Programme project, co-financed by the European Regional Development Fund and coordinated by FNR, Germany. The project focuses on the removal of nutrients from the Baltic Sea by collecting cast seaweed to counteract eutrophication. The collected seaweed will be used as co-substrate in anaerobic digestion and the digestate as a bio-fertiliser. Cast seaweed - nuisance or resource? There are several socio-economic benefits in using cast seaweed as a substrate for anaerobic digestion. Besides mitigating eutrophication, the inconveniences with rotten seaweed on the beach are eliminated, a high quality fuel (biogas) is produced, the digestate can replace synthetic fertilisers, job opportunities are created and a step towards the circular bio-economy is taken. The COSTAL Biogas project consists of five work packages. In WP3, led by Lithuanian Energy Institute, an inventory of projects related to reduced eutrophication and anaerobic (co-)digestion of cast seaweed is ongoing. The list of identified projects includes Wetland, Algae and Biogas (WAB), Advanced Technologies for Biogas Efficiency Sustainability and Transport (ATBEST), AlgaeService for Life, SOLRØD, Bucefalos, LiveLagoons, BioMara, CosCo, Biogas - new substrates from the sea and Baltic Blue Growth. The results and experiences from these projects will be compiled in a Best Practice and Lessons Learned report. In addition, operating biogas facilities utilising cast seaweed will be identified, the seaweed potential in the South Baltic Sea area estimated and the policy frameworks highlighted within WP3. On the 22 November 2018 the first steering group meeting (SGM) took place at Gdansk University of Technology, Poland. 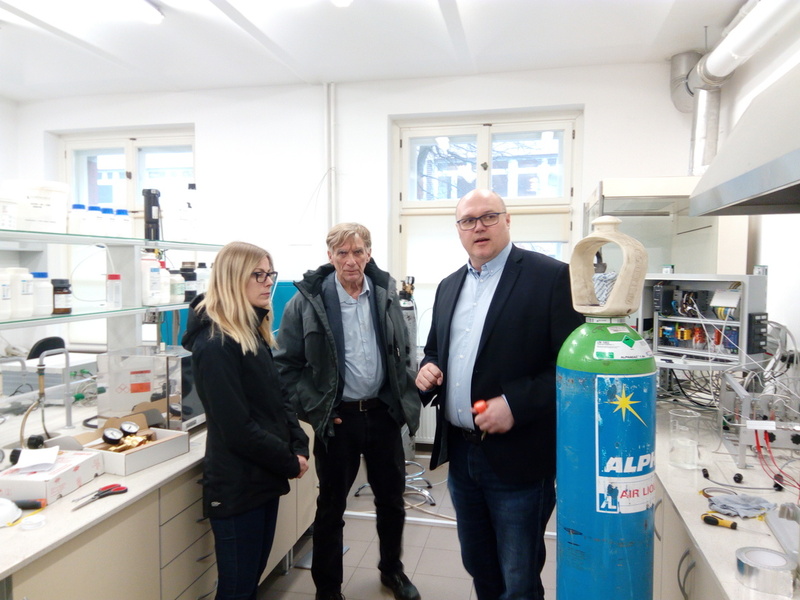 Robert Aranowski, GUT, (to the right) in discussion with Michelle Hansen and Tyge Kjaer, RUC, during the study tour in the GUT biogas laboratories. Cast seaweed is co-digested in industrial scale at Solrød Biogas facility in Denmark. 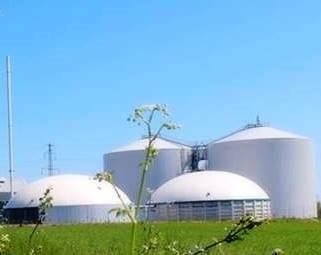 COASTAL Biogas will not only profit on the knowledge and experience but support further optimisation and improvement of the whole value chain. The COASTAL Biogas project partners wish you A Merry Christmas and A Happy New Year. The contents of this Newsletter are the sole responsibility of the author/s and can in no way be taken to reflect the views of the European Union, the Managing Authority or the Joint Secretariat of the Interreg South Baltic Programme 2014-2020. If you don't want to continue receiving the COASTAL Biogas Newsletter you can unsubscribe at any time.